Johannes Buys was a wealthy businessman in Amsterdam, the Netherlands. The portraits below of Johannes and his wife Sophia Margaretha Frerichs, drawn by Dirk Jurriaan Sluyter in 1836, can be found in the Rikjsmuseum in Amsterdam. 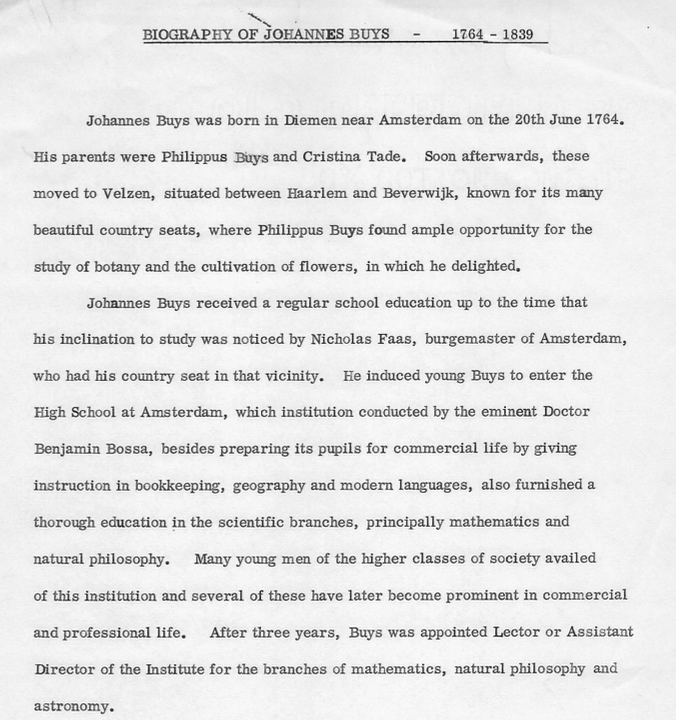 The following biography of Johannes Buys was written by his grandson, Cornelius Buys II. Click on the thumbnail below to read the entire document in a new window.